There are 7 basic drivers of human motivation. 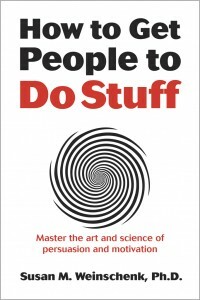 And if you understand what motivates people you’ll be better able to figure out how to get people to do stuff. That’s the premise of my new book that just hit the shelves. 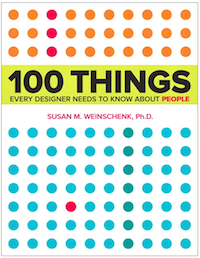 For a summary of the book, check out my blog post. Every day around the world there are millions of presentations delivered. Some are great, some are mediocre, and some are just downright boring. How much better would the world be, how much more inspired would your audiences be, and how much change could you make in the world if you improved the quality of your presentations? 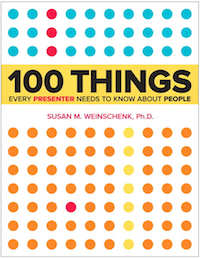 100 Things Every Presenter Needs to Know About People gives you the knowledge you need to create and deliver presentations that inform, inspire, and motivate. 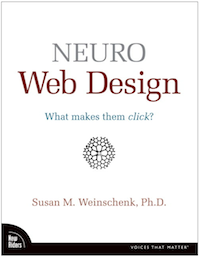 Learn how to apply the research on motivation, decision-making, and neuroscience to the design of web sites. 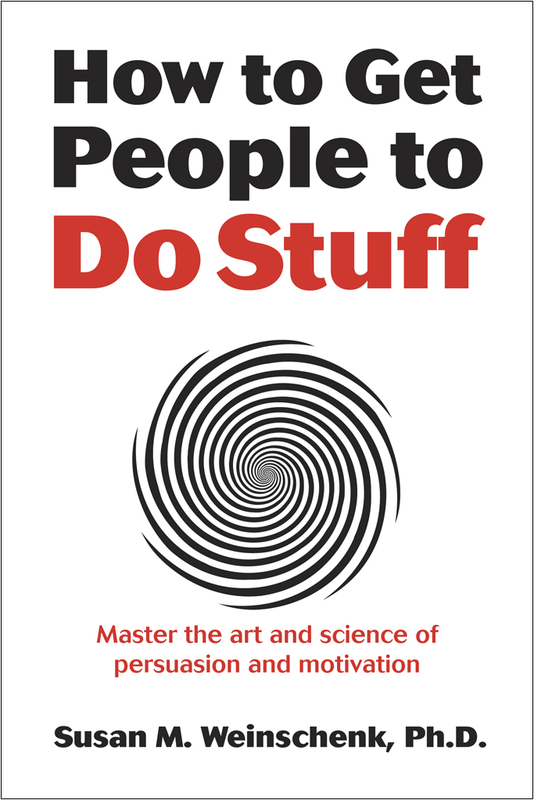 You will learn the unconscious reasons for people’s actions, how emotions affect decisions, and how to apply the principles of persuasion to design web sites that encourage users to click. 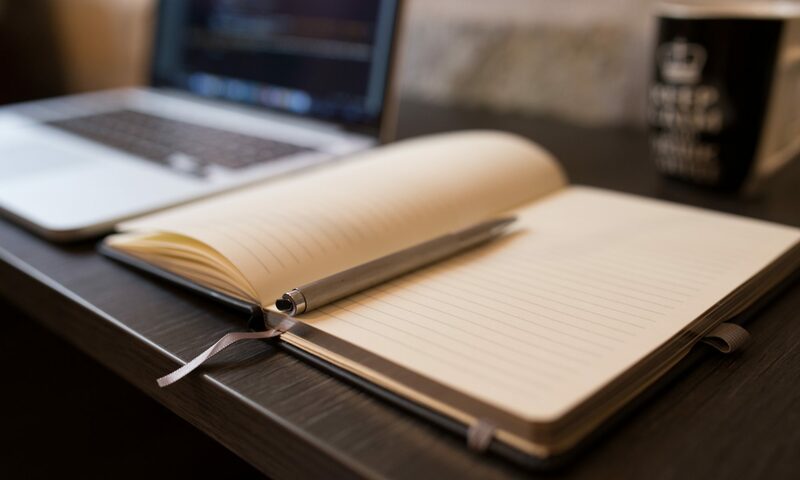 Use the principles and examples in Neuro Web Design to dramatically increase the effectiveness of your web site.